So, as usual I am behind in posting. Shocking, I know! Anyways, here are a few photos from some of the pumpkin fun we had!! We made a double bubble map comparing pumpkins and apples (blue circles). We then tasted pumpkin pie and apple pie and decided which one we liked better! As you can see, the majority liked the pumpkin pie better! We predicted what we would see, hear, smell and touch at the pumpkin patch! After we got back from the pumpkin patch we drew what we actually saw, heard, smelled and touched. It was fun to see if our predictions were right or wrong! Wow..what a great start to our school year so far! We have been so busy and I feel like I finally have some time to catch up on here! As most of you know, I got married 2 weeks ago, so I have been pretty busy with that and didn't have much extra time to blog! But.... now that the wedding is over, I can resume my life as a teacher blogger :) We had an amazing wedding on a boat and I couldn't be any happier to be Mrs. Timmer!! Now onto the new year! To be honest, I have been so busy teaching that I haven't been very good at taking pictures to post. I promise to get better though! 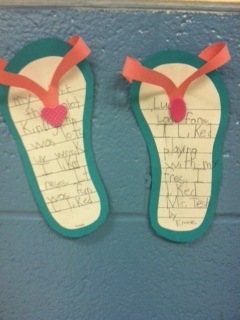 I have such a sweet class this year and they are doing a great job! We laugh and have fun all day long. They truly are a special group. 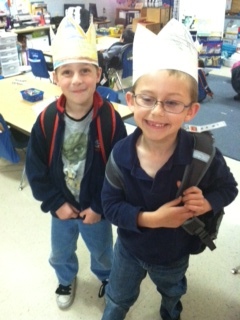 I am so proud of how quickly they are learning our routines and how independent they have become in just a few weeks. We have really been working hard on our reading stations and I did have a chance to take a few pictures of a few stations the other day. "Carpet" station- some days we have book baskets and some days we have white boards to practice writing letters and words. "Seat Work" station- students always have an assignment to complete at their seat. 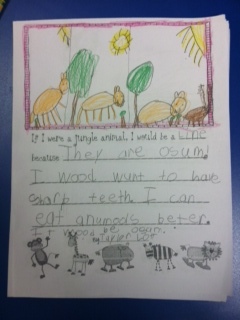 We are starting to use our journals more everyday as seat work to use to respond to stories we read. "Learning Table" station- this station is very hands on. Students get to use play-doh, stamps, markers and more! In this picture you can see students using our letter bags to find and write letters. We also have a Computer station. The boys and girls rotate computers everyday. If it is not their day to be on the computer, they will go to the tub/puzzle station. Now that I have parent helpers coming in pretty much everyday (amazing) the students who are not on computers will be working with those parents on special projects and games. 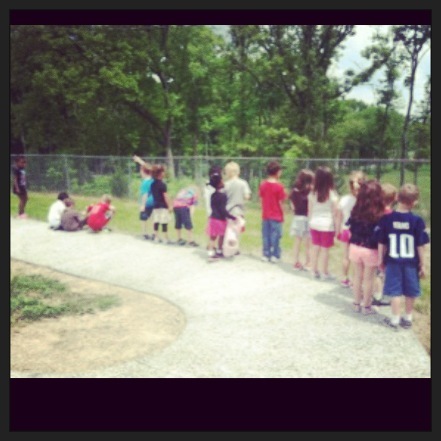 Students go to every station everyday. They spend about 15 minutes at a station. During this time I pull my small groups for guided reading. I will post a picture soon of the wheel I use that shows who goes to which station. Well, I think that is all for now. Check back soon for more updates on our year so far! Have a great week! I'm telling ya'll... the entire trip was blessed. God knew what he was doing when he planned this trip for us! Mt. Rushmore was really neat! The town where it is located is really fun too! We camped at the bottom of the Black Hills Mountain and I saw my first buffalo!! Montana and the Yellowstone River! We made a plate at a pottery place to represent all of the places we drove through on our trip. We did leave off Kansas though by accident! We got to ride three wheelers at Keesy's grandparent ranch in Washington! 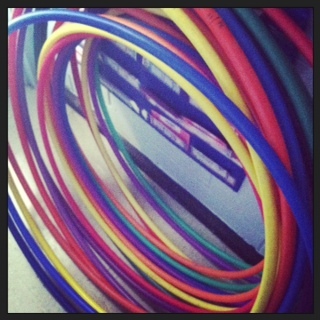 I am going to have plenty to share with my upcoming students about what I did over the summer!! Did you get to do anything fun this summer? It is hard to believe there are only 2 weeks of summer left for me! I head up to Pennsylvania tomorrow to spend some time with my family! I am especially excited to see my nieces! They are so sweet! I have been on vacation for the past few weeks in Washington State (we drove from Tennessee) but have been seeing all the Bloglovin posts so I went ahead joined! 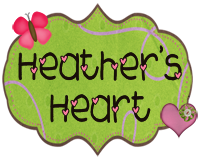 I would love it if you headed over to follow my blog!! 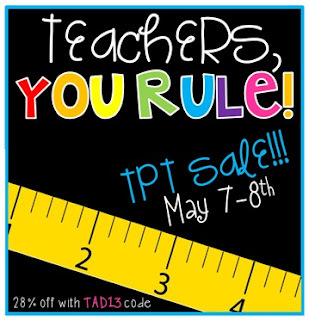 My Teachers Pay Teachers Store is on sale for the next two days! I also just updated my 2013-2014 calendar and made it editable! This is perfect for planning or for sending home to parents! 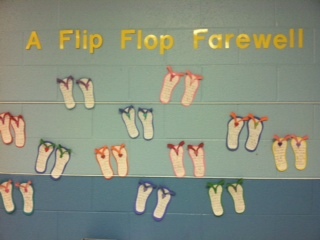 Every year I enjoy doing a "Flip Flop Farewell" as one of our last writings. 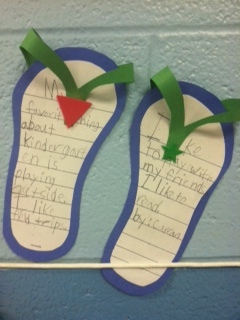 They always turn out super cute and it is always fun to see what the boys and girls favorite Kindergarten Memory is. 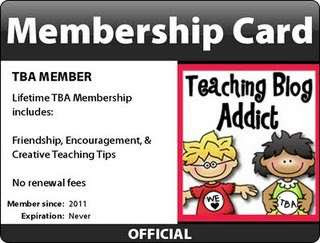 We just started these this week so they are a work in progress but we got quite a few of them finished! G,H, I, J, K and L Day Oh My!! G Day- Game Day!! 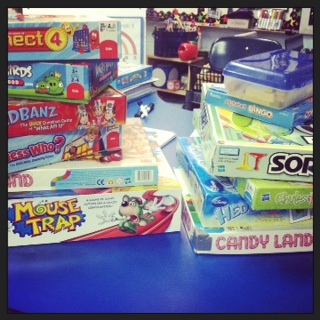 We had a blast playing our games on Game Day. I was a big fan of the game Headbanz! 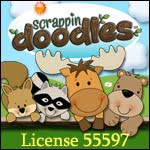 I had never heard of this game before game day but am definitely going to buy it! 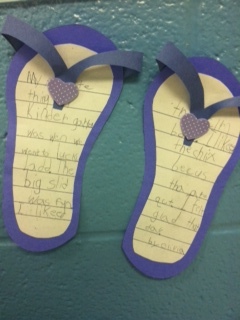 What a great way to practice questioning and describing!! I Day- Icy Treats and Ink Pens. 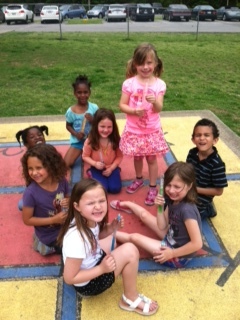 Students were allowed to use ink pens all day and then we had an icy treat at recess! 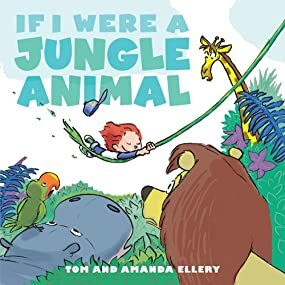 We learned about Jungle Animals and read If I Were a Jungle Animal and then wrote an opinion piece about which jungle animal we would want to be. I love their responses! 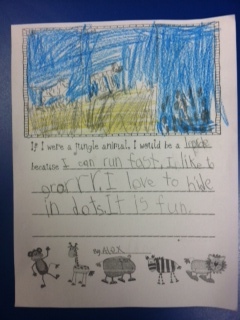 I would be a leopard because I can run fast. I like to grarrr. I love to hide in dots. It is fun. 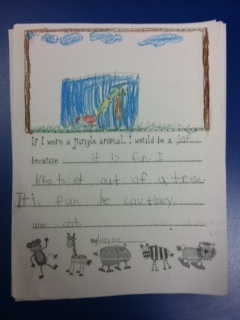 I would be a giraffe because it is fun. I like to eat out of a tree. It is fun because they are cute. I would be a lion because they are awesome. I would want to have sharp teeth. I can eat animals better. It would be awesome. 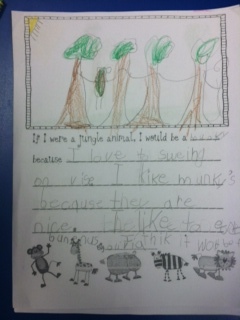 I would be a monkey because I love to swing on vines. 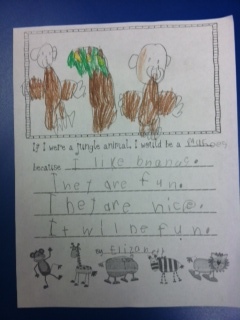 I like monkeys because they are nice. I like bananas. I think it would be fun. I would be a monkey because I like bananas. They are fun. They are nice. It will be fun. Unfortunately we did not have nice enough weather to play kickball so we had to reschedule. 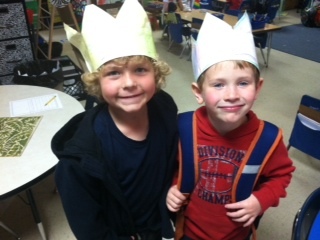 Here a few of my Kings though! 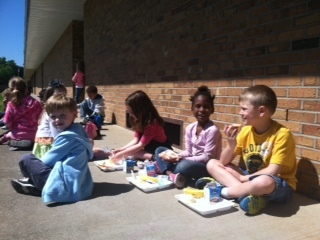 Today was the perfect day to eat lunch outside! !